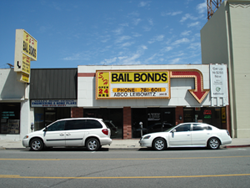 Bail Bonds are framed by the Criminal/Traffic Department where it accepts Payment for bail bonds in a municipal court prisoner daily. Once bail is posted, the prisoner will be released. Bail is a form of security deposited in order to persuade a release from the court. Refund of bail money which has been posted by a bail bondsman in criminal/Traffic Department is verified by accounts clerk. Bail bond is a form of security, paid in cash, MasterCard, visa. The bail money will be refunded to the depositor after the judgment of court, unless the judge direct otherwise. If not received, then bail notification letters will be sent to the depositor. It is the responsibility of the co-signer that the premium is paid. Bail bonds are good for only one year; if it continues for a longer period then additional premium is collected. Any additional expenses incurred in the transaction, such as long distance calls, travel, posting fees are to be paid by the co-signer to the bail agent . All appropriate paperwork has to be completed first by a bail bondsman and given to a deputy clerk in the Criminal/Traffic Division. All bail money posted in the court, the judge will transfer to another court which is processed by accounting clerks Bail law in America: Before independence, American followed British bail laws. After 1776, they framed their own bail laws. The Virginia 1776 constitution, section 9 states that additional bail not required. The 1785 constitution also add that the bail will be let to those who are in custody, not punishable for any crime in life or limb. While a bail will not be admitted, if a party finds guilty. The Pennsylvania constitution of 1776 section 29 states that additional bail shall not be adhered for bailable offenses. In US Federal Bill of Rights, The Eighth Amendment is a resultant from the Virginia Constitution additional bail not required, this clause have no Sense says, Samuel Livermore. Actually what do you mean by additional bail? The court does not determine that the constitutional prohibitions on additional bail apply or not. 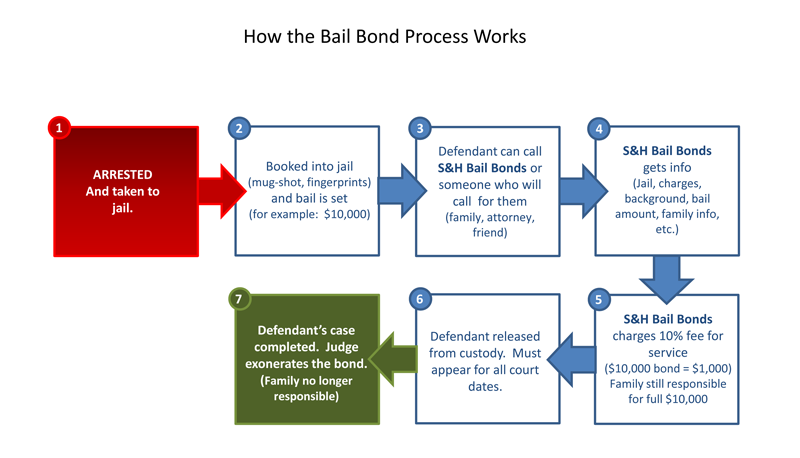 Bails Bonds are of different types: cash bail bonds, surety bail bonds, recognizable bail bonds, signature bail bonds. Cash bail: Cash bail is an amount paid to court to release from custody. The defendant has to pay until the trial is over. The cash will be refunded when the trial finishes. The bail will be accepted only when the crime is not punishable. Surety bail: This type of bail is given by surety that the obligee will pay the borrowed loan to the investor/bank or bail bondsman. Surety bail bonds are giving a security to the investor. If oblige did not pay, the surety has to pay the principal plus interest. Here in this type of bond, a promise is given by the defendant to the court that he/ she will have future presence in the court for judicial proceeding. Here bail money is not necessarily paid. When judicial officer imposes signature bond, the defendant should guarantee that he have its future presence in court when he/she fail they has to pay the bail amount. The defendant agree that he will attend future proceeding until trial , the defendant will release from custody It ensures that party will not involve in illegal activity. It ensures that all payment and material will be properly furnished. Here in this bail bonding, if the defendant does not pay the surety amount, the surety has to pay the principal plus interest. The defendant has the ability to skip bail, leave the country, leaving the signer and/or bail bonds company to pay for the bail bonds. From the above review, one can see that bail bonds are a written agreement that helps the defendant to be released from custody. It ensures that all payment and material will be properly furnished. Bail bonds has its own merits and demerits. Some time the defendant fails to pay the amount, the surety or bail bondsman has to pay the principal plus interest.